MAMA is delivering mobile health information services in Bangladesh, India and South Africa – countries with elevated maternal and infant mortality and morbidity and high use of mobile phones. The Mobile Alliance for Maternal Action (MAMA) is engaging an innovative global community to assist new and expectant mothers. MAMA will harness the power of mobile technology to deliver vital health information. The partners hope to create a locally-owned service that will be scaled up nationally over the next three years. . The mHealth Alliance champions the use of mobile technologies to improve health throughout the world. Working with diverse partners to integrate mHealth into multiple sectors, the Alliance serves as a convener for the mHealth community to overcome common challenges by sharing tools, knowledge, experience, and lessons learned. To accomplish this, the mHealth Alliance advocates for more and better quality research and evaluation to advance the evidence base; seeks to build capacity among health and industry decision-makers, managers, and practitioners; promotes sustainable business models; and supports systems integration by advocating for standardization and interoperability of mHealth platforms. The mHealth Alliance also hosts Health Unbound (HUB), an online knowledge resource center and interactive network for the mHealth community. The mHealth Alliance is hosted by the United Nations Foundation, and founded by the Rockefeller Foundation, Vodafone Foundation, and UN Foundation. The Alliance now also includes HP, the GSM Association, and Norad among its founding partners. The "mHealth Commons" can be defined as public goods that would accelerate the impact and mainstreaming of mHealth, which do not disproportionately benefit any one player, and are unlikely – and often impossible – to be undertaken by any individual stakeholder. With help from experts, thought-leaders, and community builders, the mHealth Alliance seeks to build the mHealth Commons through a variety of activities and engagement with a cross section of mHealth stakeholders. The mHealth Alliance works to catalyze the power of mobile technologies to advance health and well-being throughout the world, with a focus on low-income countries. To do this, the Alliance's activities focus on strategic priorities that address the gaps in the mHealth ecosystem while also advancing mHealth initiatives in key health topics. The Alliance mobilizes the global health and mHealth communities to take action that leads toward effective integration of mHealth into global health practices, programs, and policies. The Alliance is working with its members and partners to define the core areas in the Commons that are required to address gaps in the mHealth field. The Alliance is collecting and cataloguing information on mHealth (e.g., research, projects, funding). This knowledge base will be used to inform mHealth practitioners and stakeholders and encourage them to advocate for the effective use of mobile for health. The Alliance engages in country-level workshops has established Communities of Practice on HUB to invigorate interested stakeholders and allow them to connect and exchange knowledge and ideas. The Alliance also facilitates Working Groups that jointly work on key priority areas. The mHealth Alliance provides small catalytic grants to mHealth activities that accelerate the building of the mHealth Commons. Caring for the world, one person at a time... inspires and unites the people of Johnson & Johnson. They embrace research and science - bringing innovative ideas, products and services to advance the health and well-being of people. -The world’s premier consumer health company. -The world’s largest and most diverse medical devices company. -The world’s third-largest biologics company. -And the world’s sixth-largest pharmaceuticals company. They have more than 250 operating companies in 57 countries employing 120,200 people. Their worldwide headquarters is in New Brunswick, New Jersey, USA. -Building healthy communities through innovative and impactful healthcare solutions and partnerships. -Uniting Janssen’s scientific capabilities and innovative access models to address unmet health needs across the world within a dedicated Global Public Health group. 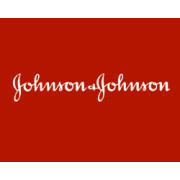 -Prioritizing maternal and newborn survival and health, infectious and neglected tropical diseases, and strengthening healthcare systems across the Johnson and Johnson family of companies.